As students prepare to head back to school, many parents are looking for after-school activities that provide a safe and structured space where children can learn skills and be physically active. Girls on the Run offers this and so much more. What Dr. Weiss’ team found was powerful. 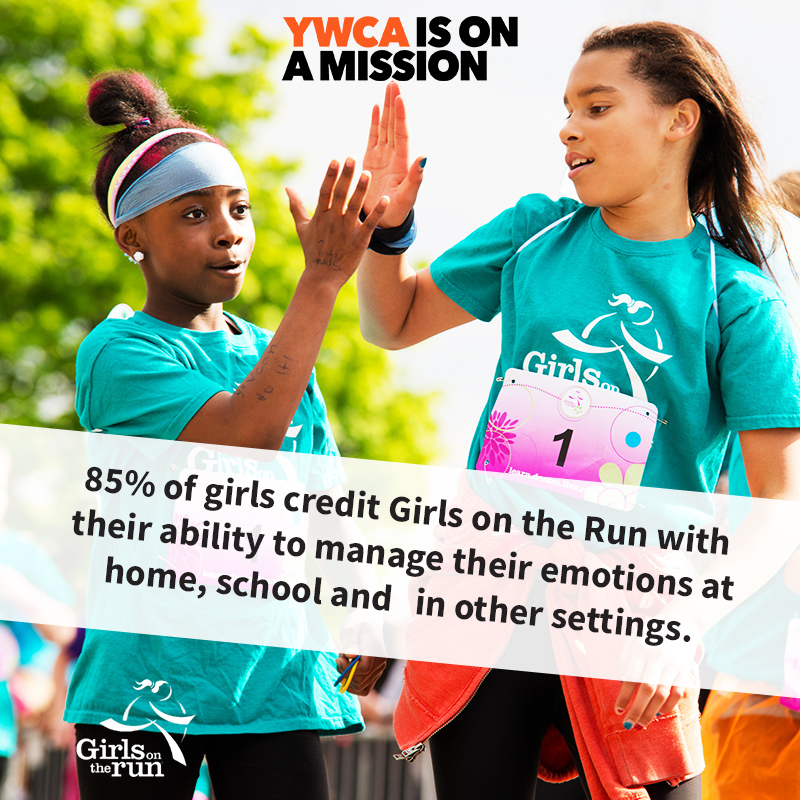 In a sample that included 907 girls from three states, Weiss’ research found that 97% of Girls on the Run participants said they learned critical life skills at Girls on the Run, including managing emotions, resolving conflict, helping others or making intentional decisions. The skills that girls learned not only helped them during Girls on the Run sessions, but also carried over to home, school and time with friends. Weiss’ team also found that the program had the strongest impact on the girls who needed it most. Girls who began the program with the lowest scores in confidence, character, competence, caring and connection had the most significant improvements by the end of the ten-week program. Additionally, girls who were the least active at the start of the program increased their physical activity level by 40%, maintaining it long after the program had ended. 2. 7 out of 10 girls who improved from pre-season to post-season sustained improvements in competence, confidence, connection, character, caring, or physical activity beyond the season’s end. 3. Girls in Girls on the Run were significantly more likely than girls in physical education or organized sports programs to learn and use life skills, including managing emotions, resolving conflict, helping others and making intentional decisions. 4. Girls who were the least active before Girls on the Run increased their physical activity level by 40% from pre-season to post-season and maintained this increased level beyond the program’s end. In 2017, 674 girls were inspired to be joyful, healthy, and confident through YWCA Northeast Kansas Girls on the Run. Visit our Healthy Lifestyles page to learn more, or get in touch with Healthy Lifestyles Director, Kjrsten Abel-Ruch.